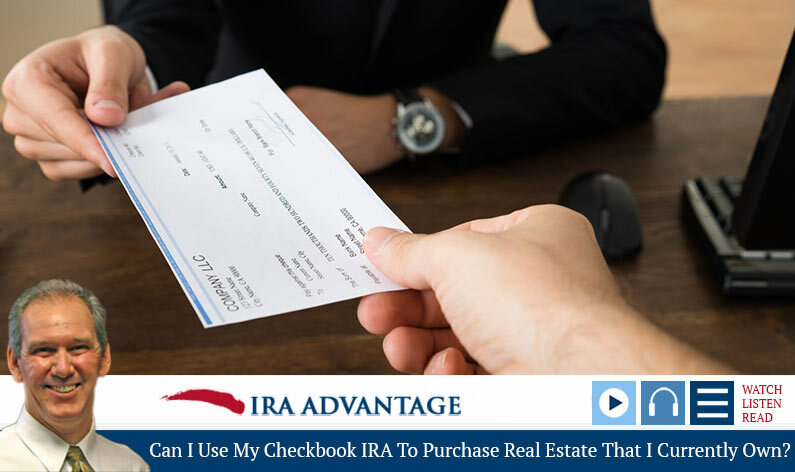 Using a Checkbook IRA to purchase property is a great way to manage your investment portfolio, but there are important legal guidelines regarding disqualified parties that you need to know. Join David Moore of IRA Advantage in this episode to hear what he has to say about the details of this type of transaction. When you look at a retirement account, what it can and can’t do, you’ve basically got to look at two different factors. One, what the person wants to do, what do they want to invest in? And an IRA can literally invest in anything other than collectibles, life insurance, contracts, or stock and a sub S corporate. So, could you buy real estate with an IRA? Certainly, you can buy real estate with an IRA. Can you buy real estate that you own? No, and the reason that the answer is no, is the second part of that question, are there rules on IRA investments with a checkbook IRA? Back to my two parts: one, what are you going to buy – two, who are you going to transact between or for the benefit of? Any transaction between or to the benefit of a disqualified party is a prohibited transaction. 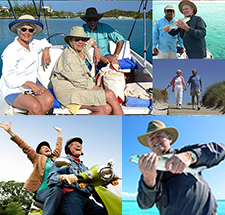 You are a disqualified party to your retirement account, as would be a spouse, parents, grandparents, kids, grandkids, their spouses, or any legal entity owned and controlling interest by one of those parties. Rarely is the investment a problem. What causes the problem is that transaction or benefit between disqualified parties. Buying examples of disqualified or prohibited transactions would be buying from your IRA or selling to your IRA, loaning money to, borrowing money from, all those things. Now what’s interesting is you can’t transact between or for the benefit of disqualified parties, but you can transact along with a disqualified party. If you wanted to go out and buy a property jointly with a retirement account and personal money, you could do that. You could own the property tenancy in common or you could own it as additional members of a limited liability company. So, those things are all possible when you’re working with these things. The issue with buying a property already owned, that’s just not possible, because you’ve got a transaction between and for the benefit of the disqualified party and that’s not okay. So, when you’re looking at taking your retirement account and go buy some property just think new stuff. Think about new things that you don’t have. Understand you’re not going to be able to use that property personally nor could any other disqualified parties. An example of that would be your kid goes off to college, you want to buy a property with a retirement account, you can’t do that, because your kid’s a disqualified party to that retirement account. Are there other rules on IRA investments with a checkbook IRA? The other rules that sort of hit with investments owned by a checkbook IRA, or any IRA for that matter, is that you can’t, back to that, you can’t have a benefit between disqualified parties. You can do the administrative functions and management of an asset, but we say you shouldn’t go out and get dirty. You can’t go out and swing a hammer, put a paintbrush in your hand and go out and work on that stuff. Just do what’s right, get somebody else, hire the work to be done, get it taken care of. And a lot of my clients, they have grown up buying and selling property and gotten older, buy and sell property, and now they want to use this new found source of funds of retirement account to do it and when I tell them, “Hey, you might have been flipping properties historically and you’re used to working on stuff, you’re qualified money, you can’t work on the property owned by the qualified money,” and some people are disappointed and others are just thrilled that they’ve got an excuse not to do it. So, keep that in mind. You can buy anything you want, any type of real properties in your tent to hold for investment, you just should not work on it, period. That would constitute a prohibited transaction.